Special Offer | Bio Logic Aqua Research® Technologies International, Inc.
Bio Logic Aqua Research is committed to our customers, and their unique eye and skin concerns. As we age, our tear production decreases, so it is especially important for Seniors to be aware of dry eye syndrome and its symptoms. 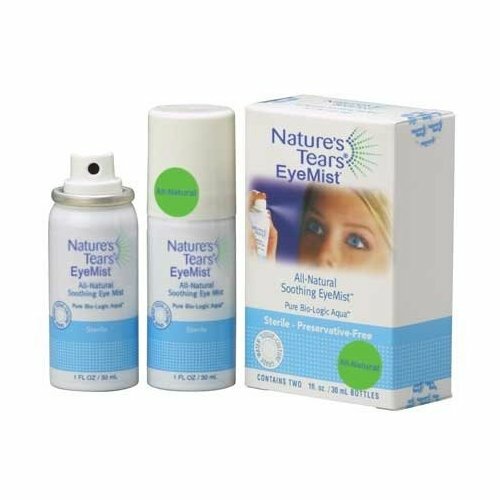 Recent discoveries by Bio-Logic Aqua Research regarding the causes of dehydrated and irritated eyes (dry eye) led to the development of the first all-natural, all-water, pH balanced mist product for eye moisturizing- Nature’s Tears EyeMist. To promote healthy eye care among Senior Citizens, Bio Logic Aqua Research is introducing a special Senior Citizen discount! Simply enter the code SENIOR in the redemption code area provided to receive 20% off while placing your order online, or call 1-800-367-6478 to speak with one of our friendly Sales Associates.